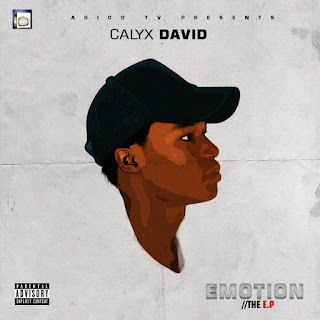 CALYX is a talented singer, rapper and songwriter who is set to make his mark in the music industry with the release of his anticipated EP titled “EMOTION”. 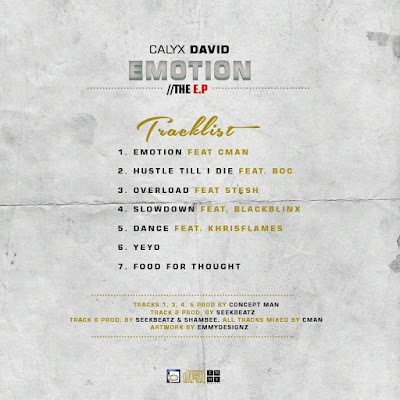 THE EMOTION EP is a culmination of the best of CALYX DAVID'’s musical impulses in recent years, resulting to a body of work that is SEVEN tracks deep with diverse sounds and styles and is assured to bring pure joy to anybody listening. During the listening party session organised by CALYX yesterday with beehive finest producers, artiste,dj and blogger(s) to most of them, The standout track among the shiny tracks on the EP is “yeyo”, a high-tempo dope song with catchy melody and a blend of urban afro pop sound. 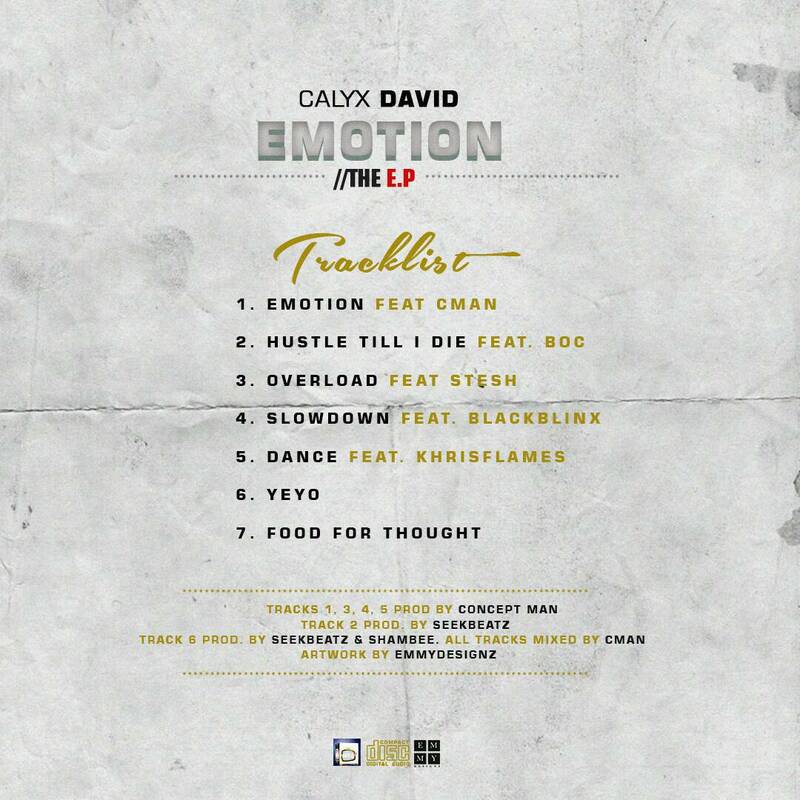 Enough said, cop The EMOTION EP and your ears will thank you.